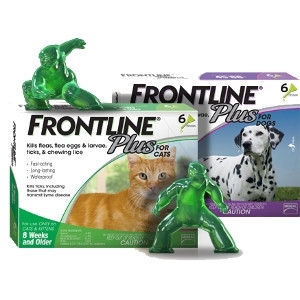 FRONTLINE® Plus has 2 tough killing ingredients. The 1st, fipronil, kills adult fleas and ticks. The 2nd, (S)-methoprene, attacks flea eggs and larvae. They work together to kill all month long.